BJP leader Murli Manohar Joshi has complained about what he alleges is a fake letter to LK Advani circulating in his name. “I have not sent any such letter to Advani-ji,” the veteran has written to the Election Commission, urging it to investigate how it surfaced on social media. The two-page “fake” letter has Mr Joshi saying the BJP could get only 120 seats in the ongoing Lok Sabha election and only 8-10 of the 91 seats that voted in the first round on April 11. The letter, “written” on what appears to be the official letterhead of Mr Joshi, has been circulating on WhatsApp and Twitter with an ANI watermark. It also has Mr Joshi saying he had been approached by the Samajwadi Party and the BSP to contest the election but he could not bring himself to leave his “home”, read the BJP, even though “our own family members have thrown us out”. The letter dated April 11 suggests that Mr Joshi is telling Mr Advani their silence on the attack on core values of the democracy is a betrayal of the people of the country. “In the previous meeting you silenced me. In the next I will silence you, but isn’t our silence a betrayal,” it says. 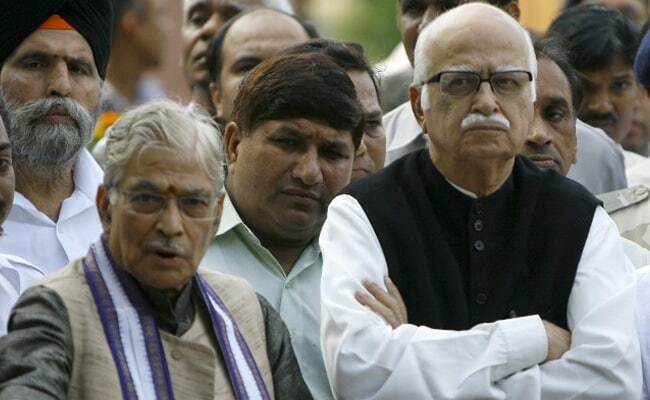 Mr Joshi “writes” that his daughter urged him to write to Mr Advani – even though a phone call would have sufficed. “I wanted history to chronicle my views and circumstances correctly,” the letter says. Stating that they would have to answer to the coming generations for their silence and inaction, the letter “urges” Mr Advani that concern for one’s self and the party should not overshadow one’s national duty. The letter sparked a furious debate on Twitter, especially at a time there have been murmurs about opposition parties reaching out to the sidelined seniors after they were benched – Mr Advani from Gujarat’s Gandhinagar and Mr Joshi from Kanpur.